Everything you always wanted to know about SSL certificates (but were afraid to ask) - Design House Studio Ltd.
One of the more recent additions to our standard hosting packages is the SSL certificate. It used to be rare that a client would request (or even need) an SSL certificate installed on their website, but as more and more of our clients are selling products online, the SSL certificate has become a more common request. Well I’m glad you asked! SSL stands for Secure Sockets Layer, and basically alludes to an encryption protocol that will be used on your website if you have the appropriate certificate correctly installed. If you’ve been browsing around the issue of domain and hosting security already you may have seen the initials SSL crop up, as well as TLS (Transport Layer Security) and also HTTPS. These are all different strands of the same security question; how do we protect our customers and clients when they’re sending us information over the web? The short answer is to have your website and domain protected with an SSL certificate. Once it’s installed correctly you get a little ‘green padlock’ in the URL bar of your browser window, you’ll have access to more payment solutions if you need them, and when people come to visit your business online they can feel that little bit more confident that they’re browsing safely. Unless you’re really keen on having a deep knowledge of the exciting world of internet encryption you probably don’t need to know much more than that, but here’s some epic information about the issue if you have some spare time: The exciting world of HTTPS. A year or so ago, Google officially added HTTPS and SSL certificates as one of their many ranking indicators. This basically means that if you have an SSL certificate installed for your website, you can potentially receive a little boost in your rankings, and in the world of SEO any little incremental improvements are always worth taking advantage of. Google wants a secure internet, one where people feel safe and protected from those nefarious digital ninjas, and their precious tracking data remains encrypted and intact at all times! You can check out what Google had to say on the issue right here. 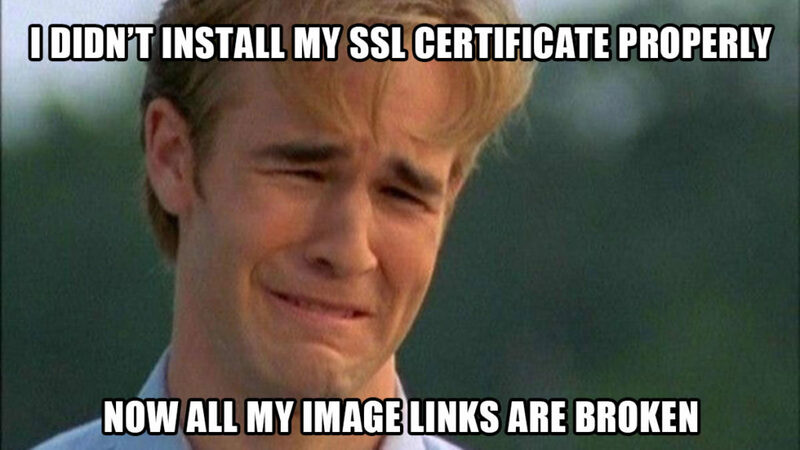 So this year we’ve decided to offer SSL certificates on all our hosting packages as standard. If you’ve been hosting with us for some time already you’ll be asked if you want to upgrade to one of the new packages on your next renewal date, but if you want to request an immediate bump in your security and SEO potential, of course just let us know and we’ll make the appropriate changes sooner rather than later.